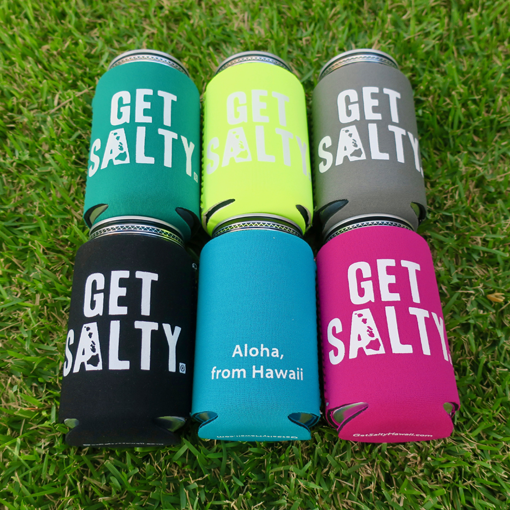 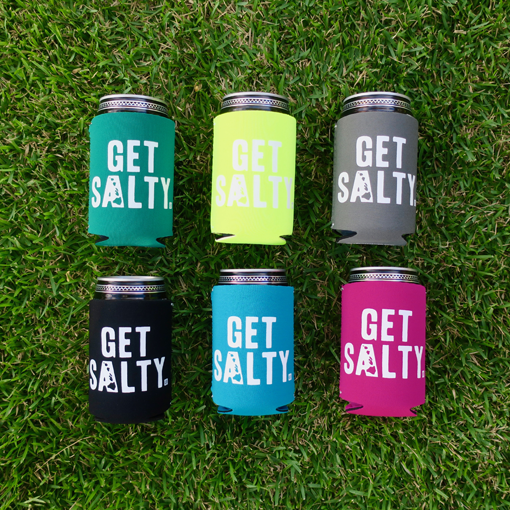 High end 100% neoprene 6 Pack Get Salty Koozie Gift Set includes 1 in each color. 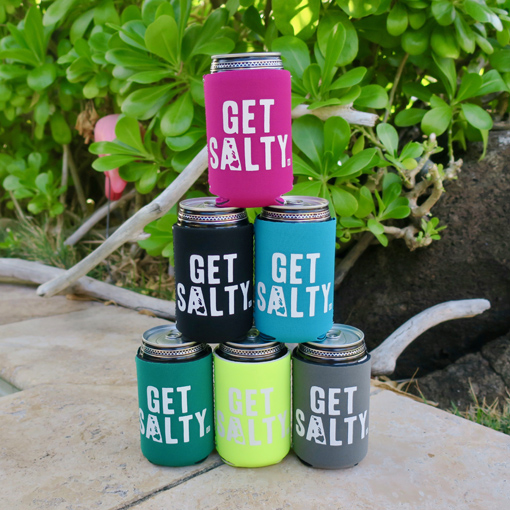 Colors include mermaid green, citron yellow, charcoal grey, black, teal blue and hot pink with white screen printed design and white stitching. 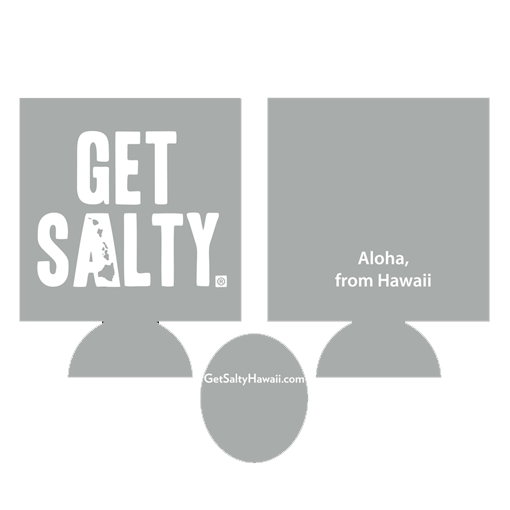 “Aloha from Hawaii” adorns the back. 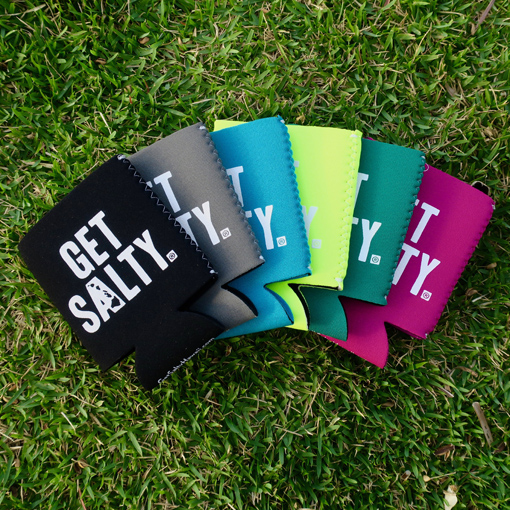 No junky foam koozies here, these will last years! 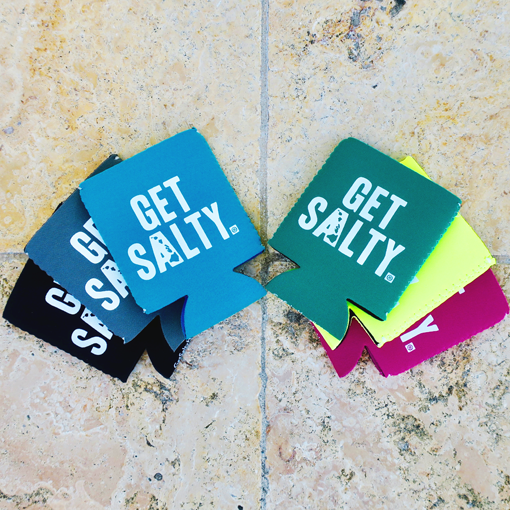 Great gift for salty friends or keep a set or two on hand for bbq’s. 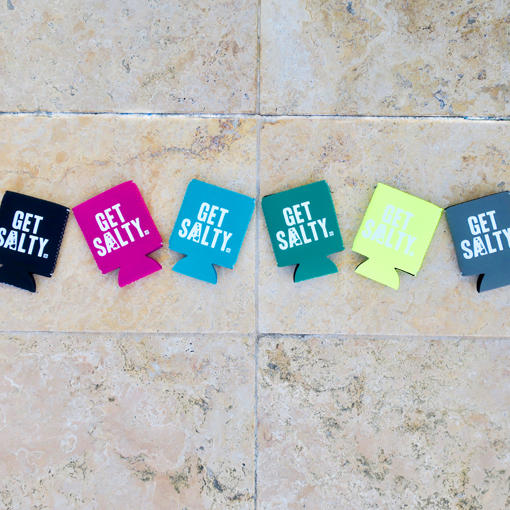 Individual koozies are $5, with six pack purchase you get one free!